If there was any doubt a change is coming to net neutrality, it should be gone now. Ajit Pai, chairman of the Federal Communications Commission, called the net neutrality rules a "mistake" on Tuesday. It's his strongest statement on the issue since being appointed to the top spot by President Trump last month. "It has become evident that the FCC made a mistake," Pai said at Mobile World Congress in Barcelona, according to a copy of his prepared remarks provided to CNNTech. "Our new approach injected tremendous uncertainty into the broadband market. And uncertainty is the enemy of growth." 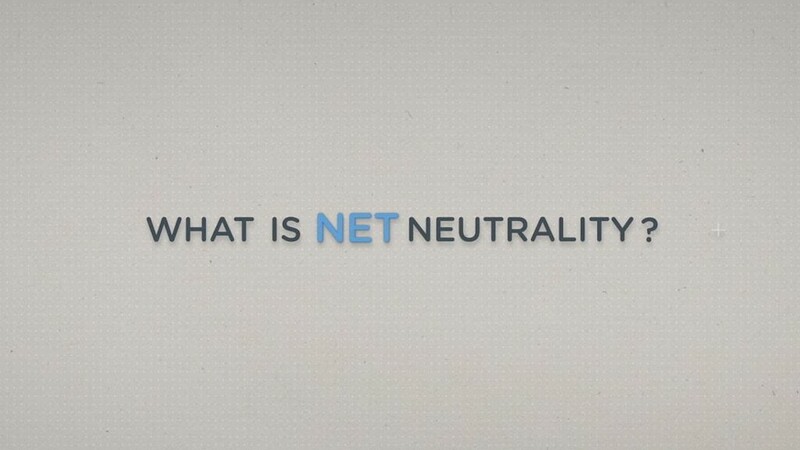 The net neutrality rules, approved by the FCC in 2015 amid an outpouring of online support, let the agency regulate the Internet as a public utility, placing greater restrictions on broadband providers. The rules prevent Internet providers like Comcast (CCV) and AT&T (T) from deliberately speeding up or slowing down traffic from specific websites and apps. In short, the rules are intended to prevent providers from playing favorites. On Tuesday, however, Pai argued the broadband market would benefit more from "light-touch Internet regulation." "And we are on track to returning to that successful approach," Pai added. As an example, Pai touted an early effort to allow for "zero rating" plans. Under the previous administration, the FCC criticized wireless companies like AT&T for violating net neutrality by letting customers stream content from its video service, DirecTV, without counting toward data plans. This approach makes it free for AT&T customers to stream videos from an AT&T service and effectively makes it harder for third-party video services to compete. But this month, the FCC dropped all investigations into the issue. "The truth is that consumers like getting something for free," Pai said. No one would argue with that point. But the concern among net neutrality advocates is that weakening net neutrality protections will make it harder for online upstarts to compete against broadband providers -- not to mention more established Internet companies. Without net neutrality, a company like Netflix (NFLX) might have to pay more money to Internet providers to ensure its content is delivered at the right speed. It might also face an uneven playing field competing with Internet providers who can offer streaming videos with no additional data costs. In its most recent earnings report, Netflix said changes to net neutrality were "unlikely to materially affect" its bottom line because it is "popular enough with consumers." But the same can't be said of newer businesses. "It's the small businesses that are creating new services online and creating jobs that will be at risk because they may not have the financing or the power that a big conglomerate like Google or Netflix has to protect themselves," Chris Lewis, VP of government affairs at tech advocacy group Public Knowledge, told CNNTech in an earlier interview. Tom Wheeler, the former FCC chairman who oversaw the approval of net neutrality rules, criticized the current FCC's approach in a phone interview with CNNTech on Friday. "Conservatives used to be against letting big companies determine who gets on the broadcast airwaves, but now they are for allowing big companies to determine who gets on the Internet [and] on what terms," Wheeler said. "It seems to me the lobbyists are winning out over core principles here," he added.